SUNDAY, NOVEMBER 5, 4:00 P.M.
Dir. Shin Dong-il. 2016, 122 min. With Im Hyeon-gook, Lee Hye-eun, Chae Bin. In Korean with English subtitles. An “assuredly executed drama with fiery performances” (Maggie Lee, Variety), Shin Dong-il’s engaging film illustrates the toll Korea’s hyper-competitive society can take on an ordinary family. When middle manager Beom-gu (Im Hyeon-gook) is fired from his job after eighteen years, his violent rage throws his family into turmoil. His wife Mi-young (Lee Hye-eun), now the sole breadwinner, starts cutting ethical corners in her job selling credit cards. Meanwhile, their daughter Ha-na (Chae Bin) frets over her college entrance exam. Shin’s psychologically astute film is a well-crafted combination of social critique and tense drama that movingly makes the case for following one’s passions rather than succumbing to societal pressures. SUNDAY, NOVEMBER 5, 7:00 P.M.
Dir. Bong Joon-ho. 2017, 120 mins. With Tilda Swinton, Ahn Seo-hyun, Paul Dano, Jake Gyllenhaal. In English and Korean with English subtitles. 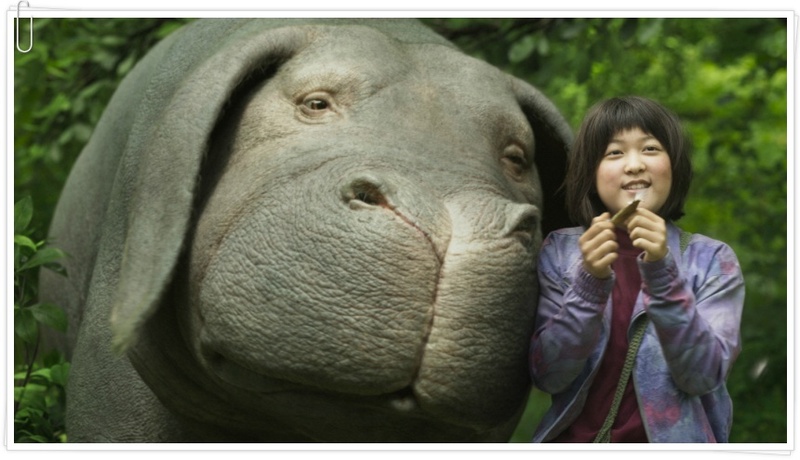 Hailed visionary Bong Joon-ho (Snowpiercer, The Host) returns with a typically twisted, vegetarian-friendly blockbuster about the friendship between a young girl named Mija (Seo-Hyun Ahn, Monster) and her “super-pig” Okja. In the guise of a family movie, this madcap anti-corporate satire follows the duo’s fight against a villainous corporation—led by the always superb Tilda Swinton, who plays both a hypocrite CEO and her scheming twin sister. En route to freedom, Mija and Okja encounter a plethora of quirky characters, including a cadre of eco-terrorists led by a courteous troublemaker (Paul Dano) and a “Sir Attenborough” from hell (Jake Gyllenhaal). No user commented in " 15th Annual NY Korean Film Festival "